Let us make this point clear. 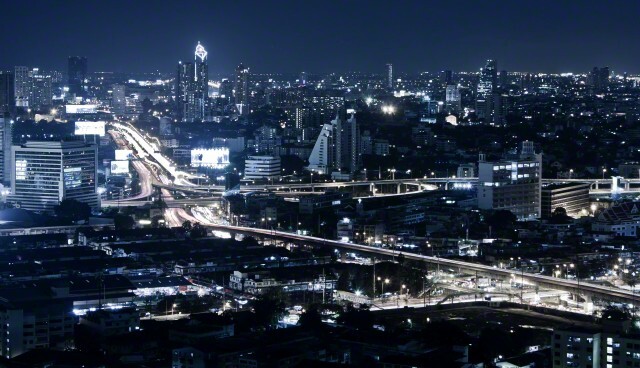 We’re not saying Bangkok has the best infrastructure of the major cities in the world. In fact, we’re not saying that it has the best infrastructure of all the cities in Asia. But what we are saying is that the prices of real estate, in comparison to the infrastructure, takes some beating. Where else in the world can you get affordable real estate with so much on your doorstep? Thailand has improved its amenities, transport links, attitude and performance so much over recent years that real estate prices currently do not reflect just how far it has come. They will inevitably catch up with the infrastructure and development. How long that will take is anybody’s guess. With the above said, there is still room for improvement where infrastructure is concerned, but the hierarchy of Thailand are more than aware of this, and have already actioned plans to improve transport links and reduce congestion, for example. The economy of Thailand has seen its share of ups and downs in recent years, but the population of Bangkok continues to grow steadily, placing a burden on certain services. The most recent records, from a census conducted in 2010, show the population of Bangkok to be more than 8.2 million, which is over 13 percent of the total population of Thailand. But despite having numbers of people similar to other major global cities, its public infrastructure is not on the same level. Plans are already underway to upgrade the public transit system, the BTS Skytrain, with a number of new train lines and stations set to open in the coming years. Once the train system is updated, the downtown area is likely to see a population increase. In addition, it is likely there will be an increase in the amount of real estate developments, particularly condominium projects. Thailand has suffered a period of economic instability, particularly in the last few years, following strong periods of growth before this time. The entire continent of Asia has seen its share of trouble in recent years, which has slowed imports and new business growth in Thailand. While it may not be a great time for real estate developers in certain areas, this makes it a great market for the buyer looking to capitalise on realistic prices. The first economic quarter of 2016 saw smaller price increases from the same quarter last year. The price of condominiums dropped from an 8.9 percent price increase during the first economic quarter of 2015, to a price rise of just 4.7 percent in 2016. Townhouse prices dropped to a 3.1 percent price increase in the first economic quarter of this year, down from 7.3 percent during the first quarter of 2015. Single-detached houses saw a smaller decrease, with prices down from 6.5 percent price rise in 2015 to a 6.4 percent price increase in the first economic quarter of 2016. Despite the sharp decrease in price rises in the market during the first economic quarter of this year, experts are already predicting a slight increase in the second half of the year. This increase is likely to occur alongside an accelerated investment in infrastructure by the government, which may help to spur even more growth. If you’re considering investing in real estate in Bangkok, now is the time to do so. While prices are only predicted to increase slightly by the end of the year, and more developments are likely to be underway at that time, buying or renting a condominium or home in Bangkok now ensures that you are making a smart investment that will improve in value in the coming years. We think investing in Bangkok provides great value. Look around – where else can you get so much culture, history, amenities, entertainment and natural beauty for such affordable prices?